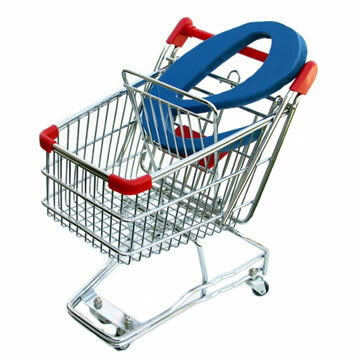 To convert visitors and retain customers your website needs to appear to be a safe place to transact a sale. A professionally designed website will show your customers you are serious about your business. In addition, your eCommerce website will be built with the leading security features to ensure smooth and accurate transaction experiences for your customers. Security seals will be displayed to further convince your customers that your website is a good place to purchase products. In addition, a professional eCommerce website gives you the opportunity to build a community of customers. You can expand and manage your customer relationships to improve your retention rates. To maximize the return on your investment, you want your website to have as much traffic as possible once it is up and running. A professionally designed eCommerce website will be optimized for the highest search engine rankings. Our company will employ the latest SEO techniques to ensure your site will be found by as many potential customers as possible. The increased visibility you get from a good search engine ranking will drive traffic to your site and increase your sales. You could use a variety of tools to create your own eCommerce website. However, you will have to take the time to decide which tools to use. In addition, you will have to register with several services to create your catalog, process your transactions and integrate your tools to create a seamless order processing environment. Some of these tools can be costly when purchased individually. In addition, without experience, you may waste money and time on features you do not need. In the meantime you risk losing sales or making mistakes that lose customers. Contact us today to start creating your professionally designed eCommerce website. We will help you build customer trust and increase your traffic with less hassle. You can spend your time building your business, while we build your website. As always we will employ the highest standards and use our proven quality process during our design and development process.